"All Nations Are In Their Prophesied Places"
Subtitle: Iran is taking concrete steps to prepare for a shooting war with the United States. She is also talking tough, including calling the bluff of President Bush. You will be shocked to understand the gravity of the situation. As we speak, Iran is preparing for war -- a shooting war! And, who could blame them? President Bush has been breathing fire and brimstone against them for two months now, and just last week announced that he was sending a second complete aircraft carrier group to the waters of the Persian Gulf. And, just to ensure that Iran understood that all this military firepower was directed at them, the new American Defense Secretary Robert Gates announced that Iran was, indeed, the target of this increased military presence. You would expect Iran to be cowering in fear from the hot breath of the President of the only superpower in the world, right? Wrong! Iranian officials, led by President Ahmadinejad, are taunting the United States, even as their military prepares for war. Let us review these stories now. "Iran's President Mahmoud Ahmadinejad said neither Israel, nor the United States, would dare attack the Islamic Republic over its nuclear program ... The Iranian president was responding to a question on a recent article by Britain's Sunday Times that Israel had secret plans to destroy Iran's uranium enrichment facilities with tactical nuclear weapons. 'They well know the power of the Iranian people. I don't think they would ever dare to attack us, neither them nor their masters. They won't do such a stupid thing'." 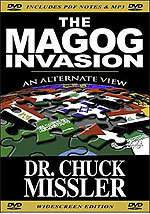 "Conservative Iranian leaders, such as Ahmadinejad, see Israel as a stooge of the United States in the Middle East. Iran does not recognize Israel and Ahmadinejad has previously called for Israel to be 'wiped off the map'.
" 'That regime wants to hurt the Iranian people. They have many dreams but they are not all powerful', said the Iranian leader." Who is "all-powerful" in this current geopolitical situation? Russia qualifies for this distinction because of her Scalar Weaponry. As we have stated many times before, Russia has taken over the complete protection of Iran -- by air, by land, and by sea. Now, listen to the extremely harsh rhetoric from another highly-ranking Iranian official. I could not believe my eyes when I read this statement. "Iran's chief nuclear negotiator, Ali Larijani, echoed the president's comments in Tehran when asked about the possibility of an attack on Iran's nuclear facilities. 'We have considered all the options and don't take these things that they say too seriously. They have enough brains not to carry out such mindless acts', Larijani was quoted as saying by Iran's official IRNA news agency on Wednesday." Those are harsh words, but words spoken out of conviction that Russia's system is so far superior to either America's or Israel's that Iranian officials have absolutely nothing to fear. And, as we stated in NEWS2183, Persia (Iran) is prophesied to march with Russia against Israel in fulfillment of Ezekiel 38-39. In order for Iran to march as Scripture foretold, Iranian leaders must have confidence in Russia's ability to prevail against Israel. Should Israel and/or America successfully bomb Iran now, no Iranian leader would have enough confidence to march with Russia! Therefore, since prophecy says Iran will march, we can be sure that nothing will happen in this current scenario which will shake their confidence in Russia. The matter is just as simple as that! Iran is bold and supremely confident. Also in this article, the Iranian president reiterated the propaganda facts that Cutting Edge has been repeating since April, 2003. Indeed, the situation seemed far more serious in Summer, 2003. Not only were American officials openly taunting Iranian officials, saying "You're next", but America still had five aircraft carrier groups in the region, the Air Force still had her Iraqi contingent at air bases throughout the region, and the American Army was still invigorated and far more capable of launching an attack against Iran than it is now. In early, 2007, these American threats are not so bold and direct, but more muted and indirect - a big difference! Now, let us examine Iranian troop movements. Please regularly consult the map we have shown above as you read this following material. "IRBIL, Jan 19 (KUNA) -- An Iraqi Kurdish source said Friday that Iran is massing troops along its borders with north Iraq ... Iran has beefed up its troops stationed along the main border crossing (Pashmakh), midway between the Kurdish Penjavin city and the Iranian Miriwan city. He added that Iran sent more reinforcement troops to the Kirban border position with Iraq, between Daza castle north of Suleymania." Why would Iran be massing borders opposite the Kurdish people in northern Iraq? Both Iran and Turkey hate the Kurds, and have hated them for many centuries. They both have announced plans to "deal with" the resurgent state unofficially called Kurdistan in Northern Iraq. Speaking of Turkish fears, let us examine two more news stories. Notice how these stories are occurring nearly simultaneously. "Turkish Parliament should convene an urgent and special session on Kirkuk and encourage a new comprehensive policy, a prominent deputy of the ruling Justice and Development (AK) Party said on Sunday. Comez said thousands of Kurdish people have settled in the Kirkuk region since the U.S. invasion of Iraq and most of them registered as voters. 'Turkey should announce that it will not recognize results of a referendum on future of Kirkuk under these conditions. And we should also announce that we are going to intervene if civil war erupts in Kirkuk,' Comez told Anatolia news agency." 'Iraqi Turkmen leader Sadettin Ergec also warned last week that Kirkuk is ready to explode before the scheduled referendum. Ergec also argued that Kurdish groups brought in serious amounts of arms and weaponry to their peshmerga ... Expressing uneasiness with the growing sectarian violence among the Iraqi Shiite and Sunni groups, Turkish Foreign Minister Gul also said this is one of the big dangers the region faces ..."
Given the incendiary nature of these concerns by various Turkish officials, we should not be too surprised to learn that Turkish troops are also on the move! "The Turkish army have gathered and intensified its forces on the Kurdistan’s boarder ready for attack, reported local sources on Tuesday ... While Turkey is holding a conference on Kirkuk without the participation of the Kurdistan Regional Government or any Kurdish political party, Turkey has intensified its forces on the Kurdistan’s border ... only (the) Turkish flag displayed in the conference." Please examine the map we have produced, above. 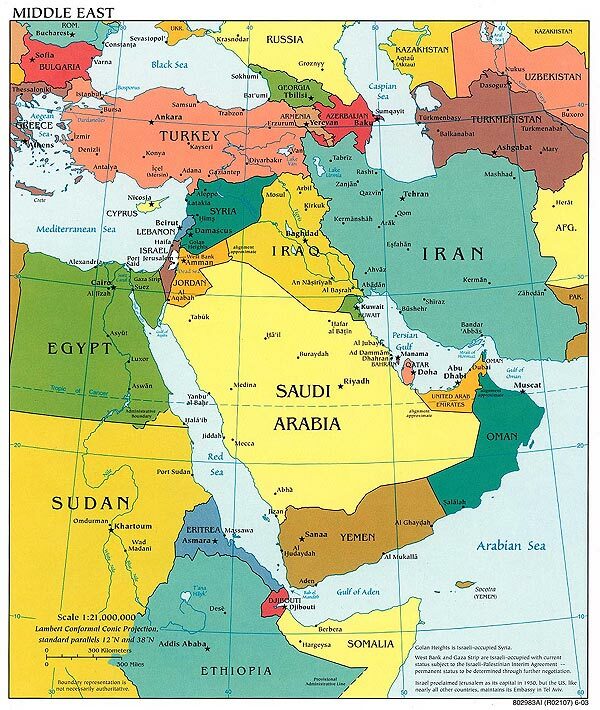 You will see that the Turkish is to the West of Iraq's northern Kurdish nation, while Iran is directly to the East. If Iranian and Turkish forces were to attack across the Iraqi border simultaneously, they could take over that entire northern region in a heartbeat. In fact, the situation is so potentially terrible that such an attack might be one way in which Iran plans to nullify the power of the increased American military power in the region. American forces are stretched so thinly that it is not reasonable to think that enough forces could be moved northward to counter a powerful Turkish/Iran military thrust against Kirkuk and the surrounding region. Another problem in responding to such a combined Turkish/Iranian invasion of northern Iraq is that both America and Israel are friends with Turkey. How do you attack Iranian forces without killing Turks? What a mess this combined attack would be! Iranian troops are clearing landmines from her border with southern Iraq, opposite Al Basra! "TEHRAN (Fars News Agency)- Three giant explosions scared many people to death in the southwestern city of Khorramshahr in Khuzestan province Thursday morning. Khorramshahr Governor Mohammad Ali Shirali told FNA that the three explosions this morning were caused by a landmine diffusion operation in a field in the vicinity of Khorramshahr." Take a close look at our map, above, and you will see that the Iranian city of "Khorramshahr" is located directly across the border from the Iraqi city of Al Basra. Normally, mines are planted as a defensive measure desined to keep an enemy from attacking your country. However, planted mines can also inhibit the movement of your own forces across an enemy border. Even though the public cover story said that these mines were left over from the 1980-1990 war with Iran, it seems to my US Army Intelligence mindset that this mine-clearing operation could very well be aimed at making this area safe for a lot of Iranian troops to pour across the Iraq border in order to attack Basra. Once again, Iran could diffuse increased American pressure by an attack on Basra. Why are we concerned about what might happen in the city of Basra? Are these Iranian military preparations the real reason British Prime Minister Blair wants his forces out of Basra by Spring? Did you hear this story? "Cracks have been emerging in the Iraq alliance of Tony Blair and George Bush. In the first signs of a split, the U.S. ambassador to Baghdad said Washington would have preferred British and American troops to stay in Iraq 'together'. Britain wants to start withdrawing 7,000 troops later this year. This would follow the handover of responsibility for the southern city of Basra by the spring." This area is going to be a hotly contested area should the Iraqi Mahdi Army attack our supply lines and should Iran decide to open another front by which to confront the American "surge". Iran, North Korea Planning A Nuclear Bomb Test?! But, now, Iran is arrogantly punching President Bush in the face! Two of Bush's original "Axis of Evil" nations are said to be cooperating to produce another nuclear warhead explosion! I can think of no other way to verbally punch President Bush in the face than for two of the three original "Axis of Evil" nations demonstrate that not only has the US failed to bring them down, but that they are much more powerful today than in late, 2002, when the White House created that list of three nations -- Iraq, Iran, North Korea -- who were such a threat to mankind that their governments must be overthrown. Let us see the story. "North Korea is helping Iran to prepare an underground nuclear test similar to the one Pyongyang carried out last year. Under the terms of a new understanding between the two countries, the North Koreans have agreed to share all the data and information they received from their successful test last October with Teheran's nuclear scientists. A senior European defence official told The Daily Telegraph that North Korea had invited a team of Iranian nuclear scientists to study the results of last October's underground test to assist Teheran's preparations to conduct its own — possibly by the end of this year ... All the indications are that the Iranians are working hard to prepare for their own underground nuclear test." Can you imagine the hue and the cry which would erupt from American government circles should Iran join North Korea in actually exploding a nuclear device? Given the arrogant dependence upon Russian Scalar Weapons superiority, Iran would surely gloat and chuckle at the inability of President Bush to either stop the test or do anything about it. 2) Nuclear weapons are an obsolete weapons system! When Russian and American satellites can -- and do -- locate and track all nuclear devices on earth in Real Time (NEWS1938, "Debunking The Propaganda Myth That Terrorists Can Actually Hit American Cities With Nuclear Devices"), that weapons system is obsolete. If an enemy knows the exact location and number of your nuclear weapons, they can plan to destroy them in a First Strike, before they can be used in war. Further, when an enemy possesses a weapons system which can neutralize -- or "dud" -- every one of your nuclear weapons in such a short time that you cannot prevent their destruction, then nuclear weapons are useless, obsolete. Russian Scalar Weaponry can "dud" every nuclear device on earth in about 10 minutes once the Scalar sweep has begun. Therefore, this entire scare campaign that the world is threatened is nothing more than propaganda. Since this rhetorical campaign is propaganda, then its end result will be what the Illuminati has planned. Events will not take an unexpected turn because of one leader being a "loose cannon". American and Israeli leaders are controlled by the worldwide Masonic Illuminati, while Iran's leaders are controlled by Russia. The context here is the final 10 kings of the earth. 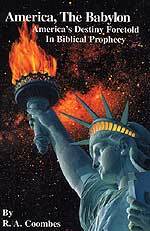 Since the final 10 kingdoms were set up between 1992-1996 (NEWS1002), we know that God has placed the desire to fulfill His prophecies in the hearts of the President of the United States, the Prime Ministers of Great Britain, and the President of Russia to act in accordance with God's prophecies. 1) Iran will not be destroyed, nor her hardline government fall, because Iran is Persia and she is going to march with Russia against Israel (Ezekiel 38-39). She may be attacked, but will not be destroyed. 2) Russia will command enough respect for her weapons systems that the Islamic governments foretold to march with her against Israel will have enough confidence to think Russia will prevail over Israel. This fact means that the current Russian protection of Iran will not be compromised. 3) The complete destruction of Iraq will continue as Isaiah 13 dictates. 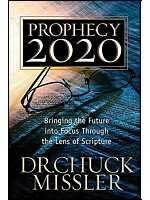 (NEWS2171, "President Bush Has Nearly Completed Fulfillment of the End of the Age Isaiah 13 Prophecy Against Ancient Babylon (Iraq)"
Continue watching and praying, for 2007 could turn out to be one exciting year as prophecy begins to come together.